SpiceJet, the red ,hot, spicy Rs.1 sale is back. 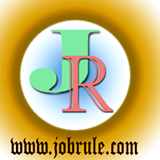 SpiceJet Mobile Apps download from Google Play store (for Android Phones) and Apps store (for IOS windows phone). The SpiceJet Rs.One sale is not applicable on the SpiceJet website. SpiceJet , India’s most innovative low fare airline ,today announce the return of its Re. 1 Airfare Sale ! More than 1,00,000 one way SpiceJet Air Tickets are available at just Re. 1 (excluding taxes and fees). The offer is applicable on round trips tickets only. SpiceJet Re.1 is available only on one leg of the return ticket and the other leg is available on regular fare. Online two tickets are available per Mobile App. If you wish to book a third ticket , then you will have to download the SpiceJet Mobile app on a separate Mobile handset. The SpiceJet Re.1 AirTicket sale is available only on SpiceJet Mobile App. The offer is available on select domestic direct (non-stop) flights only, and is only purchasable on SpiceJet’s new mobile app for Apple IOS and Android. The sale is not available from other channels or partners websites. 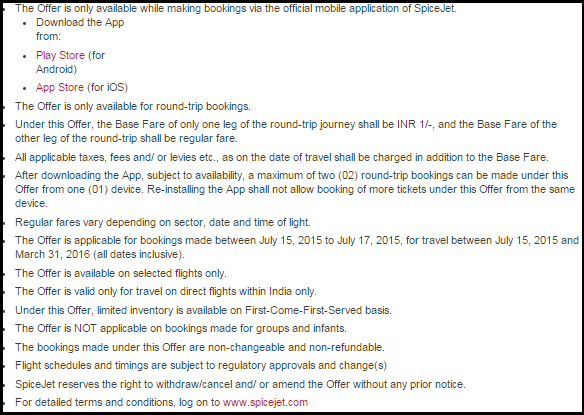 The three days SpiceJet Mobile App Low Price Air Ticket sale offers open from 15th July 2015. Under this promotion, only two round trips tickets can be booked at the sale fare on a single mobile phone handset. The SpiceJet new mobile App can be download for free from Google Pay Store or the Apple App Store. using the keyword ‘SpiceJet‘ .So stop waiting and start downloading the SpiceJet Mobile App now and enjoy spicy Re.1 sale. To read more details about SpiceJet Low Price Air Ticket sale offers and to download SpiceJet New Mobile App ,directly, simply visit SpiceJet Official website.